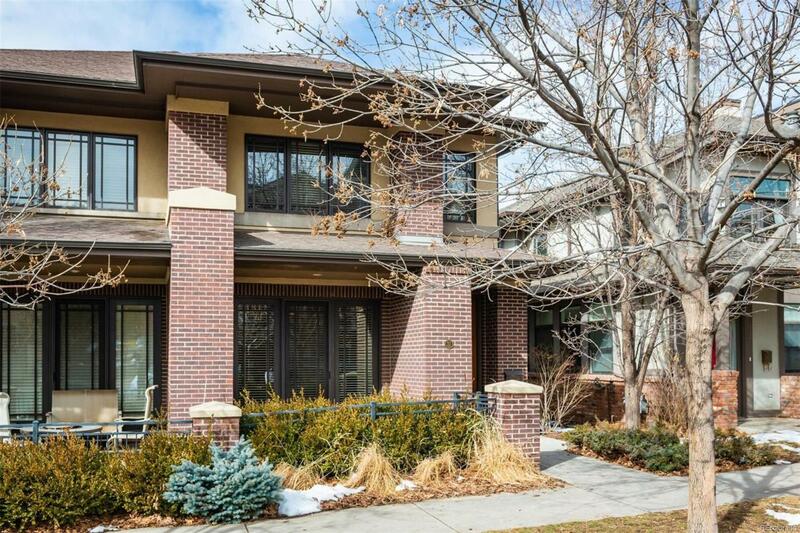 With exceptional curb appeal, welcome to your stunning townhome in the heart of Cherry Creek. Conveniently located just a half block off 1st Avenue, 31 Garfield offers abundant natural light, a desirable open layout, and a wider than usual floor plan that is difficult to find in Cherry Creek. A natural flow is conducive to easy entertaining. With high end materials, decorative finishes, and appliances throughout, this home exemplifies luxury and style. The master suite invites lingering with a private fireplace, gorgeous stone bathroom, and walk-in wardrobe. Two low maintenance patios provide sanctuaries to relax in the glorious Colorado sunshine. Steps from Whole Foods - as well as splendid restaurants, bars, and galleries - this is one of the highest quality townhomes in Cherry Creek. No HOA and meticulously maintained throughout. Builder Name2 A Good One!